Develop a Career in the Restaurant business. We are always looking for talented and motivated team members to join our team. Please email your resume to RTS Jobs. And always check for job opportunities. RT’s Alexandria’s renowned neighborhood restaurant has been the place for fresh seafood in Northern Virginia for over 30 years. 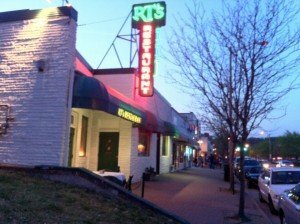 RT’s has been a fixture on the Washingtonian Magazine’s “Top 100 Restaurants” list in the metropolitan area and is one of the highest rated seafood restaurants in the nationally acclaimed “Zagat Survey”.